Will you step into the gap with us? 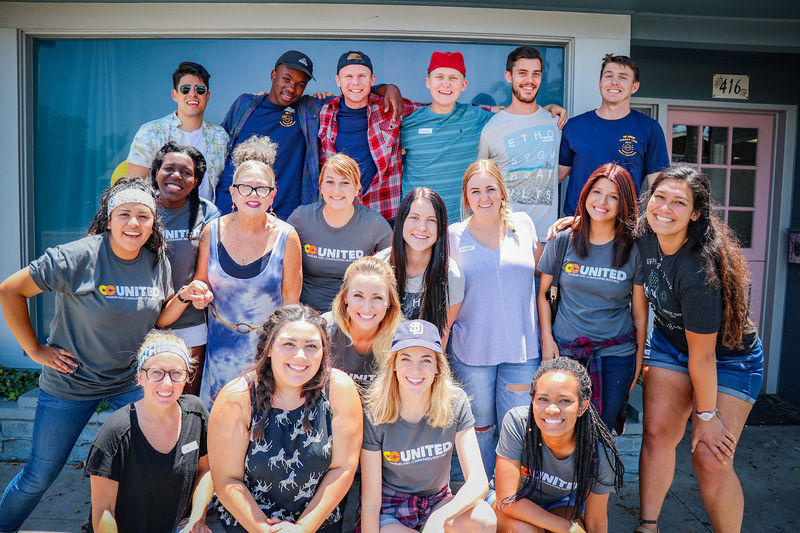 Help out at an upcoming OC United event or walk alongside someone experiencing the breakdown of the family unit. *All volunteers must go through OC UNITED volunteer process which includes completing a volunteer application, interview, and background check. THRIVE NIGHTS: Join us in providing dinner and / or a life-skills development topic within our THRIVE Night’s on the 2nd and 4th Tuesday of every Month. Background check required. Childcare Volunteers Needed! Indicate availability on application. Background check required. Jobs for Life Champion: Commit to 12 months as a mentor to an individual who is currently experiencing homelessness. Must be available on Tuesdays and/or Thursday evenings. Background check required. Jobs for Life Leadership Team: Join us in connecting businesses, empowering champions, praying for the team, and more. Background check required. Email mikec@ocunited.org for more info. Support Group Teachers: All teachers must have completed the full support group class as well as been certified by the Women’s Transitional Living Center (WTLC) as a certified Domestic Abuse Specialist. Background check required. United Kids After-School Program Helper: Do you love working with kids? Are you skilled in academics and / or mentorship? We need your help! We currently only have enough volunteers to provide the program on Tuesday’s and Thursday’s from 2pm-6pm but we would love to provide this FREE trauma-informed after school program throughout the week. Background check required. A security check is required for all volunteers with OC United. This involves a check of police records. I declare that the information I have provided is true. All of my actions as a volunteer will reflect the ethos of OC United.